Certain people, who had their egos (not national security) terribly hurt by the Edward Snowden revelations, continue to call Snowden names and stuff and show their outrage toward him for exposing the NSA’s wrongdoing. 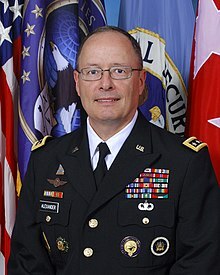 It would seem, however, they might want to redirect their outrage toward another former employee of the NSA: ex-chief Keith Alexander. 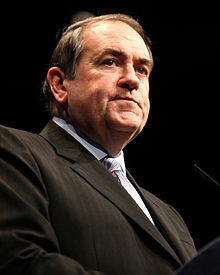 It was revealed yesterday the NSA is now being sued by a reporter for not disclosing Alexander’s financial records in the interest of making sure there were no conflicts of interest occurring while all of the other civil rights violations were being carried out under his direction. And it has been noted by the Atlantic that this information, by law, should be made public unless it is stopped by the president because it could be damaging to national security, a claim that would be completely absurd. In other words, when Alexander isn’t busy getting annihilated in interviews by comedians or admitting he lied to Congress, he is asking for a ton of money to shield companies from the snooping of the agency he former headed. And this is happening in comparison to the wrongful demonizing of Snowden, who did not sell his secrets to anyone and did his whistle blowing in a manner that was very controlled so as not to put any lives in danger or damage national security. Unless, of course, someone can actually provide an iota of evidence to the contrary, which hasn’t happened even a year later. This brings us to a very fair question: who is the real villain now, Alexander or Snowden? The answer gets more and more obvious as time goes on. I just spent the last three hours watching two great episodes of the PBS program “Frontline” that deal with the history of the NSA surveillance program. The first episode is a two-hour piece on the creation and development of the program from the time of 9/11/2001, to the inclusion that NSA actions still continue with Pres. Obama. It includes interviews with everyone (sans Bush/Cheney) and gives a detailed account of the history of the program. The second episode of one hour contains a brief introduction to Edward Snowden and then the complicity by major tech corporations with the NSA and the FBI regarding electronic surveillance. Plus the website has many complimentary information and interviews that I have yet to look into but look interesting. It is important and compelling viewing. An article in The Guardian, who first published whistle blower Edward Snowden’s revelations about NSA bulk-information collection, reports on Pres. Obama’s announced reforms on data-collection policy. The NYT reports that CA Democratic Sen. Dianne Feinstein, chairwoman of the Senate intelligence committee, accused the CIA on the Senate floor today of spying on Congressional computers. This new occurrence is the latest, and lowest, moment in the ongoing battle between the CIA and the intelligence committee regarding the investigation into the Agency’s detention program terminated in 2009 by Pres. Obama. It’s as if the CIA/NSA act with no rule of law.